If you have some free time during the day, consider becoming a volunteer with the Discipleship Cafe. The Cafe offers parents with young children a safe place for their kids to play while they study and talk with friends. Many parents have taken advantage of the service, allowing them to meet for mentoring time or personal study. 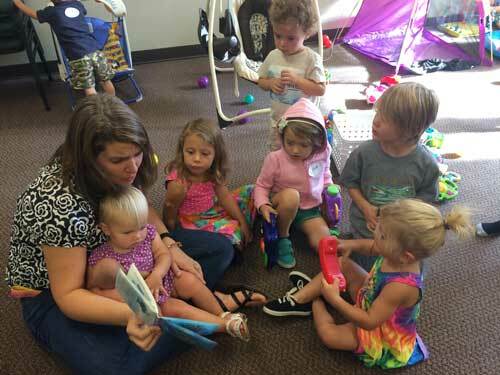 The Cafe urgently needs more childcare volunteers at both locations: on Monday mornings at Main Campus (1340 Community Park Dr, 43229) and on Thursday mornings at 4th Street (1934 N. 4th St., 43201). It's a flexible time commitment--you can volunteer once a month or more. All volunteers are required to pass a background check. They should be able to handle the kids' needs of different ages and ready to have some fun, so it's an enjoyable time for the kids as well as the parents. If interested, you can apply at xenos.org/student-ministries-application. If you have questions, contact Emily Sampson at sampsone@xenos.org.